Terri has made a banner to go with her rustic cabin style of fireplace. She is having a hauntedly good time. 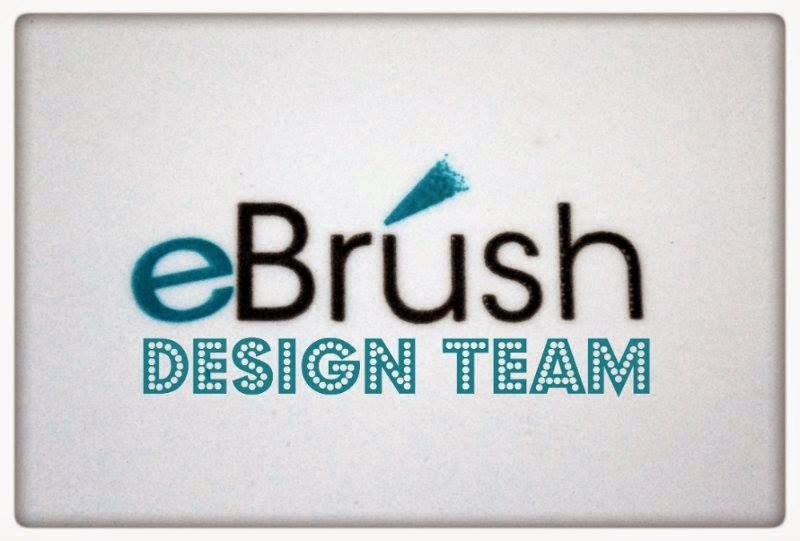 I am so honored to be apart of the Ebrush Design Team this Term. Can't wait to show off some fun projects over the next 6 months. This is one of my fun projects. 1) Cut out Banner pennants from Orange Cardstock - as many as you need - I selected three for my Boo Banner. 2) I cut out my spider web and spider from a sheet of transparency plastic. You can use card stock, but I like the transparency because I find that the thinner the plastic that I get a better spray. 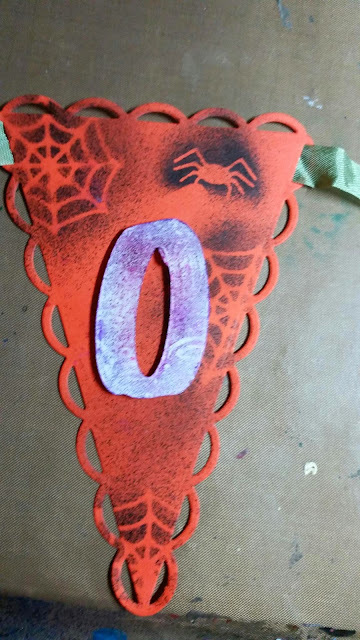 3) Lay the spider web on to your cut out banner pieces. This is so that you will get the negative image when you spray them. 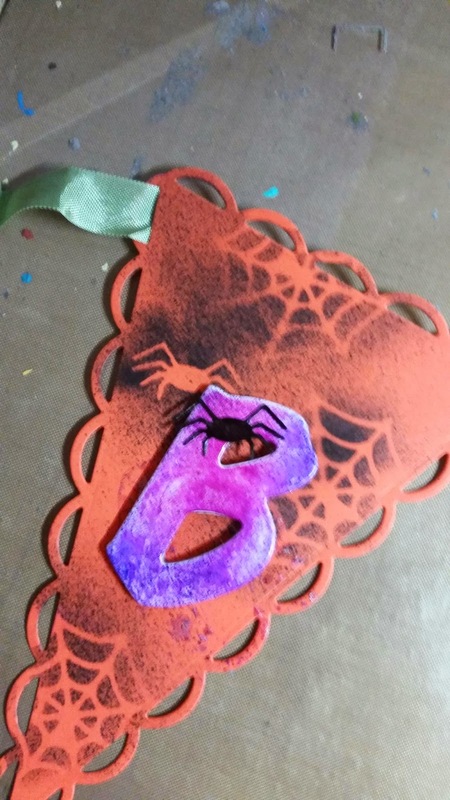 4) Now using your Craftwell ebrush with Sharpie adapter use a black Sharpie, now spray the web onto the Cardstock. I love the effect I get! DO you love that! 5) Now get those White Chipboard letters and freely add some color. I spray my with my Craftwell eBrush and a purple Sharpie - just love this idea. I will never have to purchase colored letters again...I can make my own! 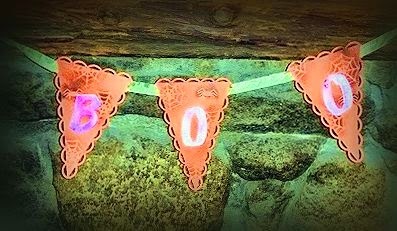 6) Adhere your letter to the center of each Banner - add your ribbon to them. Thanks for stopping by, I hope you enjoy my project. If you own a Craftwell eBrush or are just interested in learning more please come and join the group on Facebook for more GREAT ideas and helpful hints . Thank you Terri for your quick project! Very creative. Love how much more interesting the eBrush makes a project look. Inspirational. Super fun banner, perfect for Halloween!